Skip-gen vacations offer unique opportunities for grandparents and grandchildren to bond and create memories that will last a lifetime. Picture this: a family of four on a lovely vacation, perhaps enjoying an afternoon at the resort pool. However, instead of the group consisting of parents and their children, it’s the grandparents leading the troops, whisking the kids away for a memorable bonding experience while mom and dad get a break from the daily routine. This is essentially the idea of skip-generation (skip-gen) travel, a growing trend in the booming family travel sector. The basic concept certainly isn’t new, though. Grandparents have always sought quality time with their grandkids, with multiple generations often traveling distances to gather together. Not only does it provide a family travel option that may be more practical for some, as compared to a multigenerational trip, skip-gen offers benefits for every member of the family, even those who don’t join the vacation. While the children are off on their great adventure, parents can enjoy some quality time as a couple—and perhaps some much-needed additional rest—while having peace of mind, knowing their kids are in good hands. It is, however, the main participants who profit most: Grandma and grandpa are able to enjoy quality time with their grandchildren, making memories with them and getting to know them better, and they might also have opportunities to relive memories from their own childhoods, as well. Hitting the road with the kids also offers them a rare chance to expand their horizons. A skip-gen trip is just the ticket to experience new things, as they take part in brand-new activities or those that they might not be exposed to on a regular basis. This could be anything from fairly novel travel activities like offshore fishing or horseback riding to the chance to learn from the grandkids about the complexities of social media and texting with emojis. Ultimately, it’s that unique bond that grandparents and grandchildren create from the shared experiences on the trip that is immeasurable, even if those experiences are as simple as making breakfast together in the morning, going for an afternoon swim or playing board games at night. To ensure that everyone makes the most of the getaway, proper planning is essential. Beyond the universal fact that vacations rarely go exactly as expected, there are also certain unique challenges to skip-gen trips. Grandparents may be out of practice when it comes to caring for children 24/7, or the kids might have habits at home that may not mesh well with those of grandma and grandpa. Varying sleep schedules and differing perspectives as far as what qualifies as a “vacation” can all put a damper on such a trip. Plus, if younger children are involved, there are a number of additional factors to prepare for, from bottle feeding to nap routines. Therefore, booking everything and hoping for the best might not be the best route, even if you have an experienced tour operator planning everything for you. A great way to ensure that the little ones will be happy is to encourage them to help plan the vacation, if they’re old enough. Or at the very least, let them choose which activities they are interested in advance, which also serves to increase the excitement about the trip. She also says that it isn’t necessary to take all the kids at once. “Consider taking grandchildren from one family at a time rather than the whole clan,” she adds. 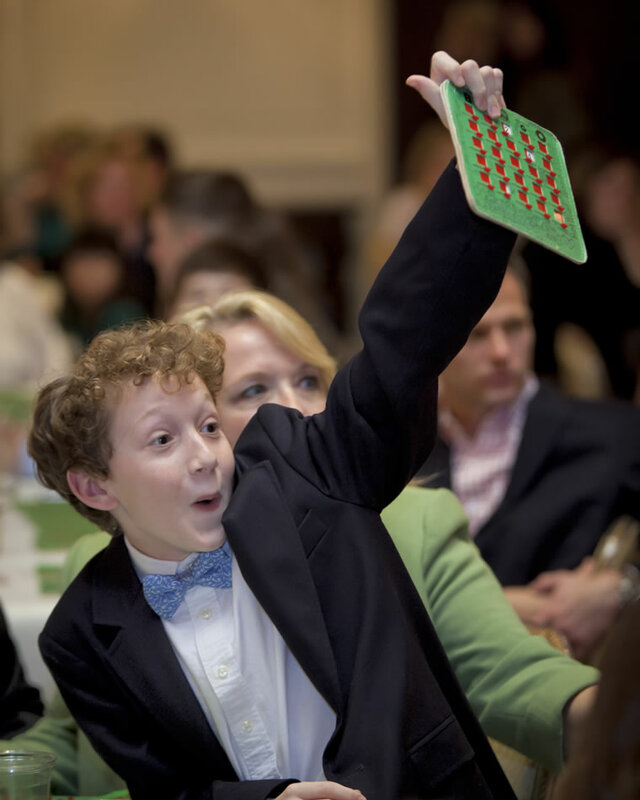 Bingo is a longtime tradition at Sea Island. At Sea Island, the wide range of experiences available on-site make the resort an ideal getaway for skip-gen travelers. “Whether you’re 9 months or 99 years old, there’s an activity here that you’re going to enjoy,” says Parra Vaughan, the resort’s chief marketing officer. Indeed, the resort boasts numerous activities that appeal to all generations of vacationers, from active pursuits like swimming, kayaking, biking, tennis and archery to educational, nature-inspired options, such as searching for sea turtles and interacting with birds of prey. 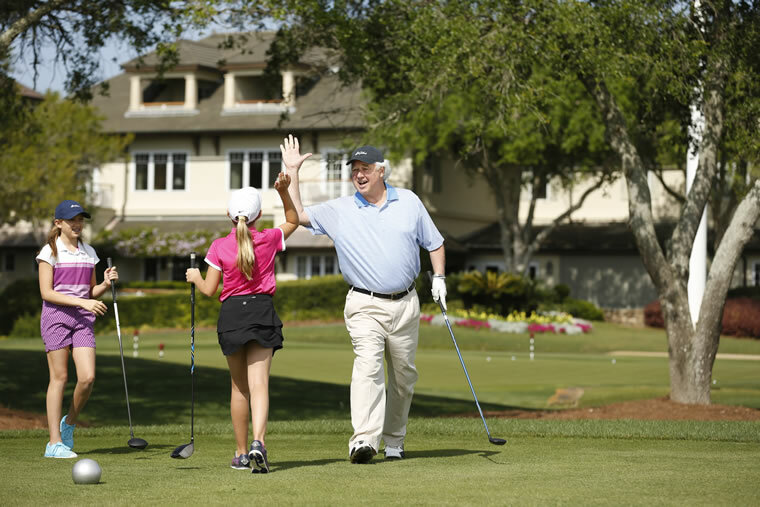 Often, Sea Island’s biggest hits for grandparents and grandkids looking to spend quality time together are hunting and fishing. Both experiences span generations, while hunts offer an ideal bonding opportunity for groups with older children and fishing is open to travelers of all ages. “What we have found is that 5-year-olds, parents in their 30s and grandparents in their 50s love to go out together, and maybe none of them have ever fished, but our captains will make sure that they have a great experience,” Vaughan says of the resort’s fishing excursions. 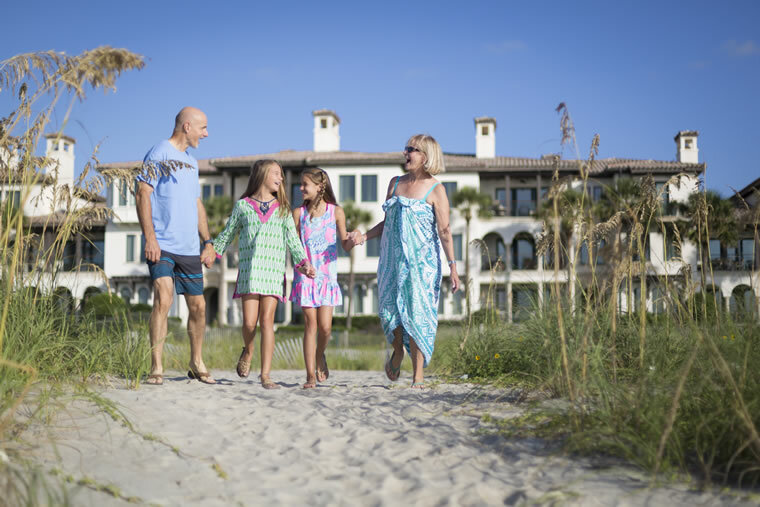 The ocean is inspiring for many, and there are numerous ways for families to take advantage of the coastal locale, from riding horses on the beach—which Kent calls “one of the most iconic experiences [at Sea Island]”—to learning to sail a Hobie Cat. There are also plenty of slower paced options. Grandparents can opt to take the kids out for a scenic cruise on the resort’s 71-foot multilevel yacht; participate in a Hawk Walk for a more relaxed introduction to falconry; or enjoy a round of the festive and famous Bingo, a Sea Island tradition that has spanned more than 50 years. However, this is just a small sampling of the opportunities available for skip-gen travelers. What makes a visit to Sea Island truly unique is that the experience can be customized to meet the interests and capabilities of any skip-gen group. There are no shortage of options for grandparents and grandchildren to spend quality time together, while making memories that will be cherished for a lifetime.